How can you compare Maldives vs. Bora Bora? Where will you have the most unforgettable experience, in the Maldives or in Bora Bora? Where will your honeymoon be most magical? The answer is actually simple: Both 🙂 But for most of us, making it from Bora Bora to Maldives in the same trip is out of the question because it would require too long a vacation and budget. So if you can only choose one destination, should you go to Bora Bora or Maldives? This post has helped over 100,000 people make the right decision since I first published it and I constantly receive messages of people asking me more. If you are still unsure whether Maldives vs. Bora Bora is the better option for you after reading it, feel free to drop me a message via the contact form – or comment at the end of the post. Firstly, because I have visited both, and stayed there for a significant amount of time so I could gather insights and compare. I spent nine days in Bora Bora staying at two resorts in two locations and I have visited the Maldives three times. The last time, in Autumn 2018, I spent 3 weeks there. I know the country well and stay abreast of the many new developments, the new resort openings and the new trends. I have also personally tested 7 of the best luxury resorts in the Maldives. Secondly, because I am obsessed with the details that make a resort special and I paid attention to all when putting together this article. So it is thorough and exhaustive. Through the years, it has also been expanded through feedback provided by readers and friends who have used it to decide their honeymoon. I love it when I know this article helped someone go to the place that was perfect for them. Both Bora Bora and Maldives are stunning and you can’t really have a bad time there, but I hope this article helps you make it absolutely perfect for you. So which one is better: Maldives or Bora? Here is a summary of the main features you should look out for at both places to decide what is best for you. Are you a water baby? You will be extremely happy at both Maldives and Bora Bora. But, what some people fear is getting bored and not having much to do. This is the question I get asked the most “Maldives vs. Bora Bora, where are there more activities?”. For some others (read: honeymooners), privacy is of the essence. They want to skinny dip and sunbathe naked, or just simply enjoy lazy in-villa breakfast with those crystal clear sea views that belong in a screensaver. If you are that type, is Maldives or Bora Bora better? So check the table below to read a summary of this article, then deep dive through the sections to understand more and make your mind up. One of the most important considerations when choosing a destination for your a once in a lifetime trip, a honeymoon, or any vacation, is how hard it will be to get there. Some places are remote in themselves and this puts some people off visiting. Others are generally well connected and get flooded in the peak months. In the case of both the Maldives and Bora Bora, their location is rather remote but easy to reach from some main hubs. So your where you live and start your trip from will determine which one is easier to reach for you. Maldives tends to be an easier-to-reach destination if you live in Europe or Asia whereas Bora Bora is more accessible from the Pacific or the US. This should not be a deal-breaker factor in your decision, because such once in a lifetime trips are usually long making the long journey worthwhile. If you are pressed for time or want to control the flight costs chances are the closer to you, the cheaper it will be to get there. Also, jetlag will be more bearable if you stay close to your time zone. In both Bora Bora and the Maldives, your journey will involve one (or more than one) international flight to the capitals, Tahiti or Male, followed by a shorter local transfer which can sometimes involve a seaplane. 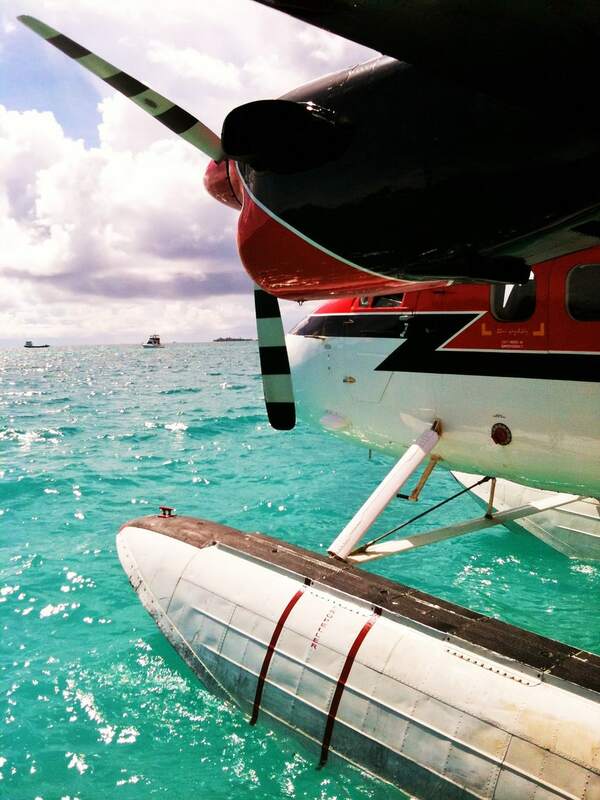 I created a guide to taking seaplanes in the Maldives which you can read here. Whereas for Bora Bora you will simply take a relatively large (70 seater) propeller plane from Air Tahiti Nui to go from Papeete where the international airport is, to Bora Bora, in the Maldives, your adventure may begin from Male where you shall board a yacht, a seaplane or a domestic flight. If you can, and this depends on the resort you are staying at, go for the seaplane. Not only will you get amazing views but it is also an experience in itself and you are paying for it anyway! Each resort will use one of the three options only so choosing the resort means choosing the type of transportation. Not all resorts in the Maldives use seaplanes so if that is something you are keen on, look out for one which requires you to book one. Bear in mind, these tend to cost around USD500 more per person return. On your way from Papeete to Bora Bora, make sure to pick a seat on the left of the plane which has the best views and an incredible landing, a sightseeing experience on its own. 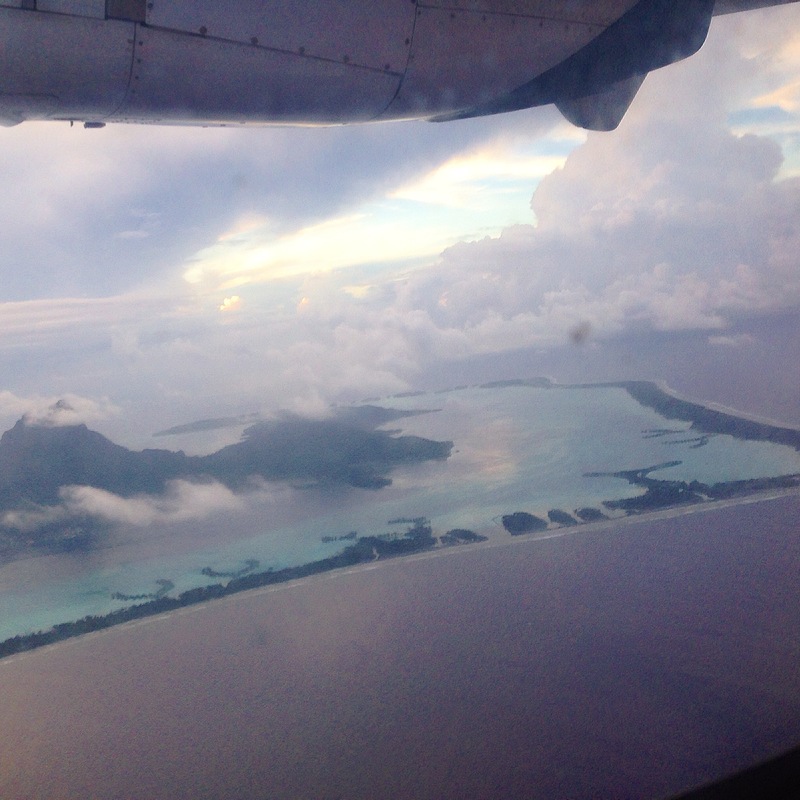 You can see a small video I recorded on the landing in Bora Bora below. In both the Maldives and Bora Bora, this last part of the journey is a great way to get in the right mood for a holiday of a lifetime and see these beautiful places from the sky. Cameras ready! Competition in the hospitality business is riff in the Maldives and many new luxury resorts have sprung in the last few years bringing with them increasingly over-the-top amenities and designs that are worthy of celebrity vacations. Today, most of the resorts feature private villas from which you will not see or be seen by another soul. They have been designed and positioned to maximize views and privacy and you could spend your entire vacation in your villa in complete isolation. See my “dronie” above to know what I mean. In the Maldives, overwater villas are close to each other but have screens and structures to ensure your privacy. The geography of atolls also helps. Each resort is located on its own private island so the possibility of spotting a passing fisherman’s boat, a yacht or someone on a jet ski is practically impossible and resort’s facilities are usually positioned in a way that they would never interfere with guest’s relaxation. Overwater villas on one side of the island, common areas on the other. New resort opening in Bora Bora are rare and many of the over water bungalows were designed decades ago (although some have been renovated recently like the Conrad (renamed from Hilton, and the Intercontinental Thalasso Spa). This means that, what you get in Bora Bora is beautiful but does not necessarily involve private decks or over the top villas. In Bora Bora, regardless of what resort you choose, the neighbor is never too far and in fact, you can see and hear the villa next to yours so, if you were expecting to be lounging naked on your over water villa’s deck Bora Bora is not the place for that. Additionally, because the higher end resorts are on the lagoon and the area is not that big the water is filled with other tourists on jet skis, speed boats, canoes, swimming, on a tour, etc. so even if you were on one of those villas at the end of the pontoon and facing the sea with no other villa nearby you are very likely going to be seen by the passing traffic. I mentioned it in the previous point but, given the rack rates and the complete idolization of Bora Bora by the media and pretty much every traveler, I was expecting the resorts to be over the top, to leave me speechless. I thought Bora Bora was the most beautiful place in the world, after all, 90% of those who visit Bora Bora are on their honeymoon, the most special trip many couples will ever take. It is not that this is what I was looking for, in fact I visited Bora Bora alone and with a friend, and I much prefer barefoot luxury than over-the-top snobbism which always made me feel like an “octopus in a garage” as we say in Spanish, but in this aspect both Maldives and Bora Bora are very different. Maldives is pure extravaganza and is sure to deliver the most over the top experience in luxury traveling. You can go on a submarine, dine under water (<- Check out my experience dining with the sharks underwater), go clubbing under water, book the largest over water villa or challenge your personal butler to the most extraordinary request. Villas like mine at the Six Senses Laamu, come with all possible amenities, free wi-fi everywhere, well stocked and personalized minibars, outdoor Jacuzzis, overwater bathtubs, large outdoor rain showers, sliding toboggans, chill out sections, infinity pools, pervasive sound systems with your personalized playlist and all the luxuries of modern day life. You will also get plenty of free items like espresso machines, snacks, water replenished daily or room service delivery. Now, who doesn’t want to enjoy their in-villa breakfast over the water? But what about Bora Bora? Bora Bora is simpler and grounded. I very much enjoyed the more traditional take at even the higher end resorts like the Intercontinental Thalasso Spa I stayed at. In Bora Bora you can learn about the local culture and you are a bit closer. In the Maldives you are isolated from it. If you prefer modern and sophisticated rooms, Maldives can give you that and more, but Bora Bora is not the place. See the video I made of my time in Bora Bora below. With 100 resorts to choose from food has recently become a main differentiating factor for resorts in the Maldives. Some resorts have Michelin-starred chefs, grow their own produce, offer organic food, healthy options and even special dietary requirements like entirely vegan menus and especially curated menus. There is at least one fine-dining restaurant in the majority of the true higher-end resorts and when looking at the prices, you can draw a correlation between the quality of the food and dining options and the room rate. And let’s not even talk about the resorts’ cellars and wine lists. The one at the Conrad Rangali has an impressive 20,000-bottle wine collection and an underground cellar in the catacombs of the resort, the first underground cellar ever built in the Maldives (it is below sea level!). The food and beverage teams at each resort will go the extra mile to provide innovative, unique and unforgettable dining options. Do you want the chef to cook you a private dinner by the candle light on the sand or a private location? The Four Seasons among others, can pull this off. Do you want a romantic dinner on the sandbank with your own seafood BBQ? A few resorts have this option but the Banyan Tree is a fabulous one I love. Do you want the Sommelier to prepare a wine pairing dinner just for you? Absolutely, almost every resort offer this but at the Conrad Rangali you can do that in an underground cellar. What about a zero carbon meal which does not use any energy? Right on at the eco-friendly and low impact Six Senses Laamu. Fresh ice cream and chocolates made in-house? Straight from the ice cream parlour at the Soneva Fushi. Overwater restaurants in the middle of the ocean only reached by boat? At the Niyama Private Islands you can do just that. Are you a vegan and enjoy fine dining too? Gili Lankanfushi has especially created menus to make every vegan’s vacation unforgettable. I could go on. Because you cannot leave the resorts, food is an essential part of the experience in the Maldives, as much as the beautiful location or the room. In Bora Bora the emphasis is on the natural beauty of the place and less on the luxurious accommodation, facilities or food. You did not come here to indulge in Michelin-starred food. Food is fresh and locally sourced, which means that you can actually enjoy Polynesian dishes, but the lack of variation becomes repetitive after a while. Thankfully, the French influence complements the local cuisine beautifully and the dishes are fantastic. As opposed to the Maldives, you can actually leave the resorts in Bora Bora to check out the local places. In the main island, you can dine at the (few) local restaurants, and that makes it more interesting and helps to keep to a budget. So, in Bora Bora, don’t expect Michelin-starred experiences or fancy settings and definitively, no over the top dining. I had the raw fish with coconut milk at least 5 times in 8 days and I loved it! But I was craving something different after a while and was surprised that the many private and unique dining experiences have not yet made it to Bora Bora. For Michelin-starred, over the top dining in some stunning setting? Head to the Maldives. For fresh and local delights in more traditional surroundings, you will be happy in Bora Bora, where you can also eat out. No 4 or 5 star resort in the Maldives can do away with butlers or whichever fancy word they use to call your assigned “liaison”. It is just a given at any luxury resort in the country. I never found the value of this person very unique but was very surprised not to find an equivalent in Bora Bora. Not because I have come to expect their existence but because, from a wider perspective, I found the level and type of service a tad too relaxed in Bora Bora. For example, I found yourself chasing the concierge around to book activities for me. Again, butlers are not something I particularly missed, but given the rack rate I was expecting a higher level of involvement from the concierge side, and a bit more proactivity. The French laisse-faire coupled with the island’s way of life means that sometimes things just take longer than you would like. Island time I was told. To make sure that it was not just me and the resorts I stayed at, I also checked in with guests from other hotels and they had the exact same feedback. If you want blutlers, the St. Regis Bora Bora has them but they are not the norm as they are in the Maldives. If you like your vacation to come with a side of personalised service and private butlers, the Maldives is your choice. On the activities front, Bora Bora wins hands down. There is plenty to do on the island both on land and on the water. There are even public beaches on Bora Bora, Matira Beach, was once voted the Best Beach in the World and still sits in the top 10. 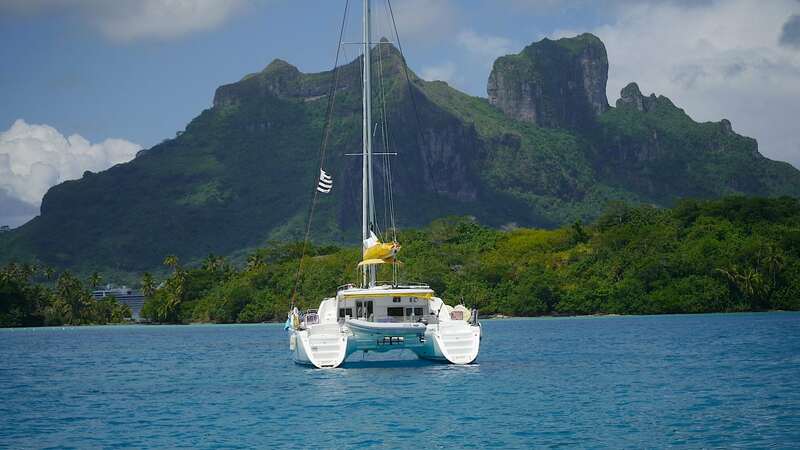 If you want to read more head over to my post about 13 Thing to do in Bora Bora. What makes Bora Bora most different from the Maldives is the fact that it has a main island with a 9,000 inhabitants, a tiny town and a few dining options. There is culture, nature, jungle and mountain, which means that there is a host of things to do that are simply not available in the Maldives where your interaction with the local population may be totally nil. Your stunning out-of-a-postcard resort in the Maldives with its many dining options and water activities may not be enough to keep you busy so, if you are heading to the Maldives you may need to bring a book or watch some movies. Maldives is a great destination for relaxation, disconnection and me time. This is not to say there is nothing to do. All Maldives resorts will have water based activities and that may be just what you need, but if you worry about having enough to keep you busy, consider Bora Bora instead. In Bora Bora I never switched the TV on, not once in 8 days. Some evenings there were Polynesian performances, some others I just went to bed early, other evenings you can wander into town and enjoy a drink at the Bora Bora Yacht Club. There is a lot of variation in landscapes too. The sea in the Maldives is exquisite but the color and shape is likely to remain unchanged throughout your stay whereas in Bora Bora the blue is different, there is green, brown, grey and changing landscapes depending on where you look. Then there is the cultural aspect of both destinations. The Maldives’ resorts do not offer much insight into the local way of life or the traditions of the country and there is an almost clear separation between the Muslim local population in the capital, Male, and the tourists in the island resorts. You will most likely come and go without learning anything about the local culture. And that is done on purpose. Bora Bora is rich in heritage and cultural traditions and you will be invited to participate. Your resort should offer pareo tying lessons, coconut husking, hat making, weaving and island performances. And by going into town you will be able to learn more about the island’s past and history. If you are looking for marine life both places offer plenty of choices. 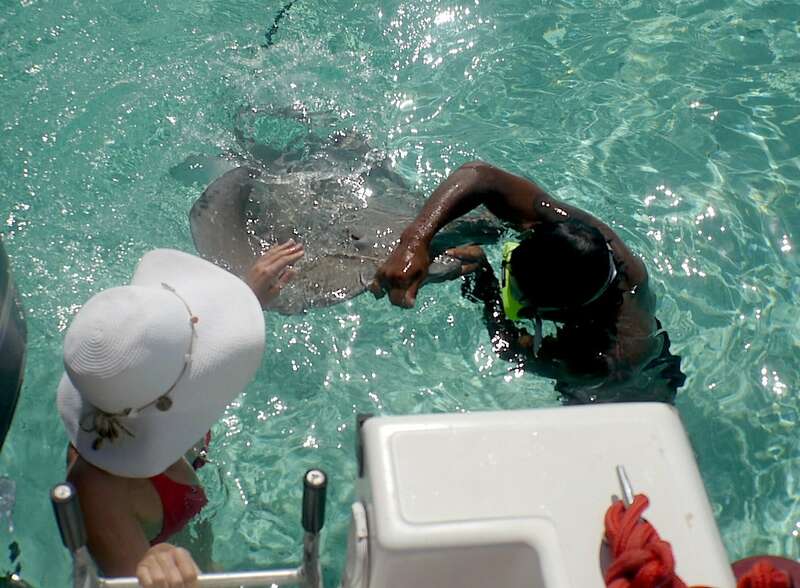 You can swim with sharks, dive with mantas or feed rays in Bora Bora. In the Maldives, the resort you are staying at will determine your choices so search well in advance if you are interested in spotting dolphins, diving with mantas or snorkelling off house reefs, or the many other water activities possible. Surfing is also available in some resorts like the Six Senses Laamu. In this aspect, both resorts have a wealth of options. Before we discuss the range of resorts, one of the questions most people ask is which one is most expensive: Maldives or Bora Bora? This is a tricky question to answer and looking at average nightly rates does not help either. Instead, I prefer to look at the budget accommodation alternatives. Do they have them? Can you visit Bora Bora and the Maldives on a budget? It used to be the case that even the cheapest resort in the Maldives was a few hundred dollars a night. When you add food and domestic transport, this would quickly escalate into the thousands. There are fewer number of resorts on Bora Bora, so the choice is even more limited. However, this has changed in recent years and, while you can easily find resorts costing upwards of $1,500 a night, there are also affordable options to visit Bora Bora and the Maldives today. There are guesthouses and hotels in the Maldives for about $100 a night. They may not offer the same overwater villa experience, but they still enjoy beautiful clear waters an fine white sand beaches. In Bora Bora, there is a pension on the main island that is relatively affordable and rustic. I even met two Dutch friends backpacking who were staying there on my diving trip. The fact that you can stay on the main island also means you can do grocery shopping and keep costs under control. Now, onto the range of resort choices in Maldives and Bora Bora. By now you may have guessed it but accommodation choices in Bora Bora are much more limited than in the Maldives. You have 4 resorts on the main motu (pictured above) plus the Sofitel Private Island and the Conrad on the higher end of the scale. Then add the Bora Bora Pearl Resort and the Intercontinental Le Moana and you have pretty much all the 4 and 5 star resorts in Bora Bora. In the Maldives there are dozens of resorts, hundreds even, so the problem is not with choice but with being able to understand what each one offers. Choosing the right resort in the Maldives can become a true nightmare. Agoda lists over 500 hotels available in the Maldives vis a vis 15 in Bora Bora. It is almost impossible to know which resort is the best for you because there are too many and they all look fabulous. And, because you cannot leave your resort, people tend to feel the need to splurge on the more expensive options to make sure they have enough to do and the highest quality facilities and food. While my guide to the best resorts may help, I hope this article can help you even more by pinpointing at the things you should ask and look out for. Gili Lankanfushi was chosen the Best Hotel in the World by tripAdvisor in 2016 and with reason. The hotel’s stand-alone villas, only reachable by boat, are the most luxurious hotel rooms in the world and have been featured by many publications. Even on the “main” resort area, the villas shine for their Robinson Crusoe feel and extra-large size. Check more photos, latest rates and availability here. 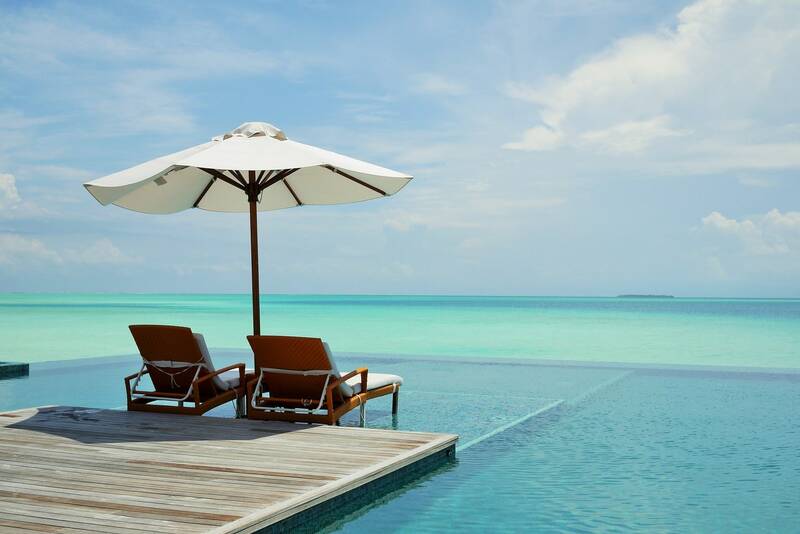 Cheval Blanc Randheli is the Maldives most stylish and elegant resort. From the France’s most exclusive brand comes the Maldives most chic, modern and sleek resort. Clean lines, floating pool villas and exceptional cuisine. Cheva Blanc is so private the resort is possibly the Maldives best kept secret. Check more photos, latest prices and availability here. I couldn’t finish this article without touching on the most important reason why people travel to Bora Bora and the Maldives: their once in a lifetime honeymoon. I mentioned this before, but 90% of the people who visit Bora Bora are on their honeymoon. This is not as extreme in the Maldives where a lot of families and friends also go, but still. Both Maldives and Bora Bora have mastered the art of honeymooning. And you can’t go wrong with either of the two. There are specifically designed activities to enjoy as a couple and build lifetime memories on. For example, in Bora Bora you can go to a coral reef and build your names on the sand, under water, with pebbles. In the Maldives, well, I have mentioned enough dining over the top options to keep you busy every evening. While the Maldives is more accessible and a favourite for families, Bora Bora is the exclusive paradise of couples. The islands have been welcoming honeymooners for decades and if you go there alone you may feel like the odd one out, like I did. Some perks and activities you can book at both places include photography sessions, (or just an Instagram butler), in-villa dining options, even small celebrations or renewal of vows. I cannot honestly say which one of the two would be better for all those extraordinary requests but I trust that in both destinations you will be catered for by the experienced teams. After looking at the pros and cons of Maldives vs. Bora Bora for that once in a lifetime vacation, I hope you can finally answer the question. If you are looking for over the top luxury which involves you lazing around in beautiful surroundings and getting everything sorted at the raising of your hand the Maldives is for you. If you are looking for a more rounded experience that also requires a bit more involvement and offers more than just beach, head to Bora Bora. And for the luckiest among us who don’t have to decide in the Maldives vs Bora Bora debate, check them both up and see for yourself what these two breathtaking destinations have to offer. There is always a time and a place for everything, you just need to be in the right frame of mind. And let me know your opinion in the comments! Have you been to both? Anything you would like to add to the debate? This article was originally published on January 28, 2015 and updated on October 16, 2017 and in September 2018.